It was recently announced that Dragon Ball FighterZ saw the highest Twitch numbers in EVO history. In addition, the 2D fighter also added some new DLC characters: Base Goku and Base Vegeta. 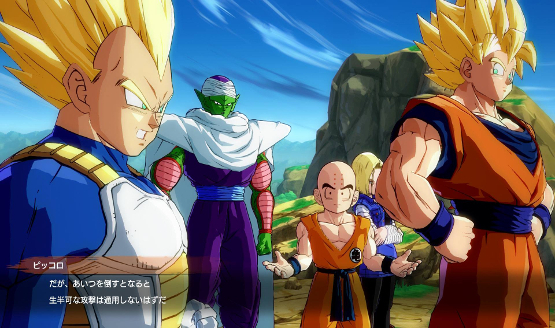 Arc System Works, its developer, wants to continue making the game as good as it can be, as the studio has released Dragon Ball FighterZ patch 1.11. This update brings a host of changes and improvements to the game’s modes, gameplay, and characters. now you can set the Opponent Rank settings to Same Rank, About the Same, or Challenge in the entry settings. Casual Match: Now you can set the Opponent Color settings to Same Color, About the Same, or Anything Goes. Added Ginyu Force settings for Ginyu. Aerial Strong Jersey : Reduced the start up frame. Standing Lights – 2nd attack : reduced the start up frame. Saibamen (Acid): Can now be canceled into Z reflect or Super Dash on block (as same as other ki-blasts). Ground Super Dash Kick (2nd and 3rd attacks): unified the frame disadvantages. Ground Sphere of Destruction (Heavy ver. ): Now Beerus floats a little higher when pressing↓. Aerial Eternal Justice (Heavy ver. ): reduced the start up frame. Dragon Ball FighterZ is available now for the PlayStation 4, PC, and Xbox One and is headed to the Nintendo Switch on September 27. 2018 in Japan and September 28, 2018 worldwide.